Do you recycle plastics or glass? Are looking for an economical way to sort these material flows? Our recycling sorting systems with inlet chute efficiently separate mixed materials and remove contaminants with precision. 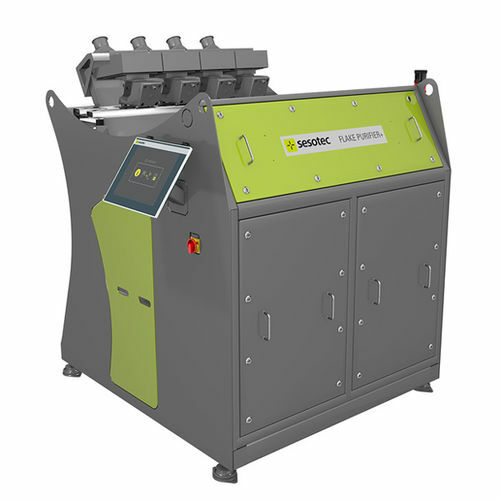 Sesotec recycling sorting systems with chute are suitable for removing contaminants or impurities from material that has already been shredded. They sort plastic flakes and regrind as well as glass fragments. Sesotec offers machinery designed specifically for one purpose as well as universal multi-sensor systems for various sorting jobs.